948. 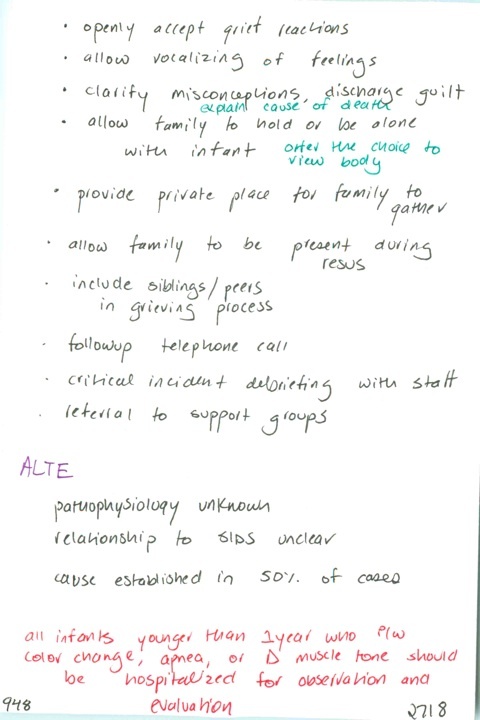 Helpful interventions in managing an unexpected infant death / Pathophysiology of ALTE, relationship to SIDS // How often is a causal diagnosis reached in ALTE workups? / Disposition of ALTE?